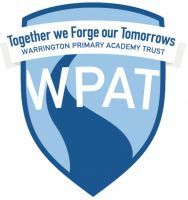 Warrington Primary Academy Trust is a growing Multi-Academy Trust that is open to welcoming new schools into our community. We are seeking new member schools that strive for continued improvement, have a strong ethos that puts the needs of the child first in all they do and who are led by a team motivated to continually achieve more for their children. Considering which Multi-Academy Trust to join, when to make the change and how to do so is a very important decision for a school. To assist a school, we have created a clear pathway of phases (please see below) mapping how an interested school can explore and understand who we are before committing to the process of joining. To find out more on the process of joining WPAT, please download our Trust brochure by clicking here, which includes more detail to guide you through each of the phases in the pathway or read our Frequently Asked Questions. When you are ready and would like to meet with our leadership team for an initial conversation, please complete our short enquiry form by clicking here.